Livrare in 3-6 zile lucratoare! 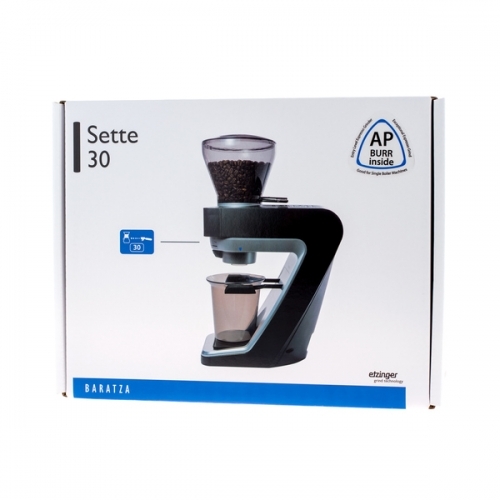 30 AP is the newest Baratza Sette series grinder, being a perfect solution if one looks for a good value for money. 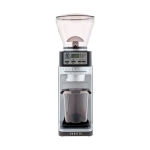 Created especially for those who care about a consistent and high-quality espresso grind at home. The mechanism based on a new producer’s technology has the rotating outer burr and the fixed inner burr. 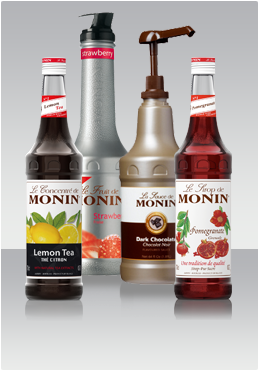 It doubles the efficiency and similarity of particles what directly translates into a higher coffee extraction. 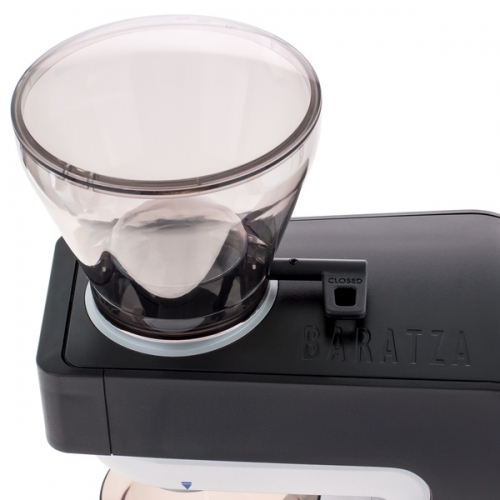 Grinding for the alternative, filter methods of coffee brewing is also possible with the 30 AP. 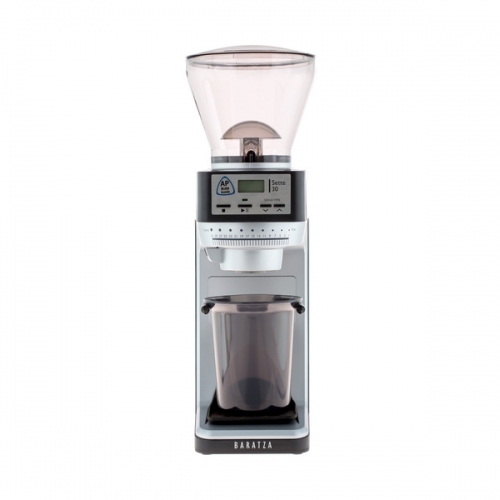 40 mm steel, conical burrs produce 3,5 – 5,5 grams of grounds with a decreased amount of fines (depending on the grind setting) per second. The producer estimated burrs’ optimal exploitation at a couple of years. Cleaning is very easy because of the effortless routine of removing and installing burrs. What’s more, it is compatible with the BG (Brew Grind) burrs type which one can use interchangeably with default ones. 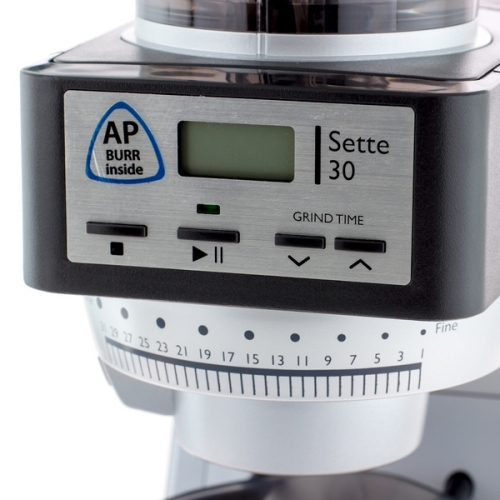 Sette 30 AP has a macro adjustment, offering 30 steps of grind size. 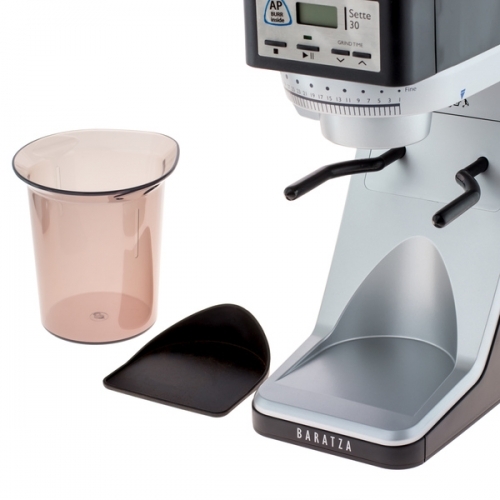 A wide range of grind size options allows brewing delicious espressos, as well as hand brews like drip, Aeropress or Chemex. 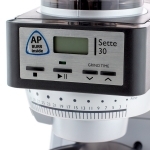 The Sette 30 has a simple front-mounted control panel with easy to read backlit LED display. The user manually presets the grind time to within .1 seconds. Simply press the start button and the Sette automatically delivers precise dosing. 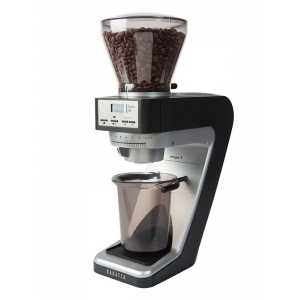 The grinder itself looks modern and it is compact, with metal and plastics elements. Thanks to its dimensions, Sette 30 AP is able to fit any kitchen counter or even the tightest coffeeshop’s brew bar.